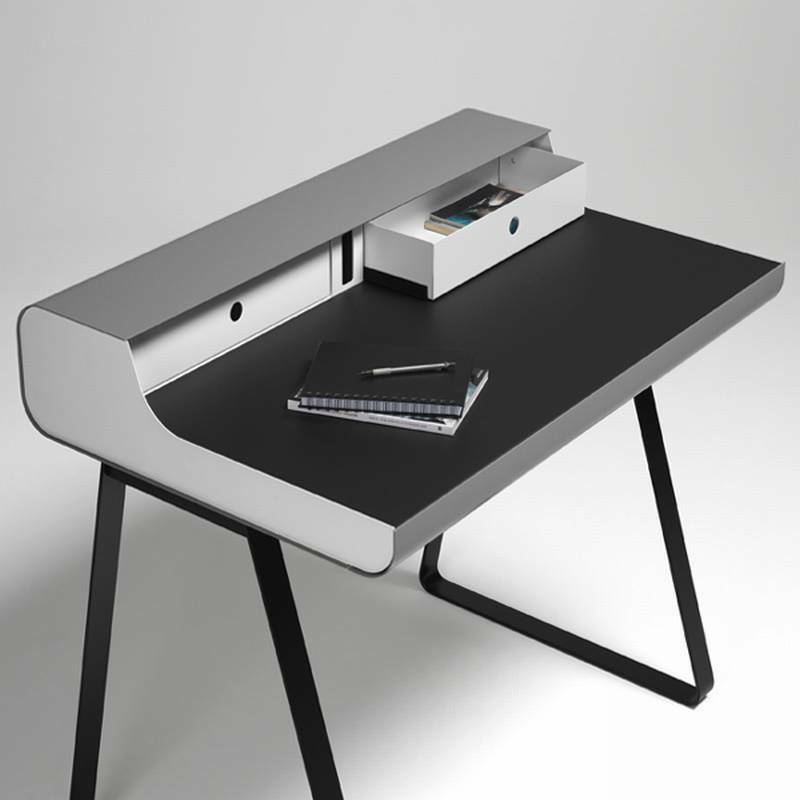 Description An open version of the PS08 offering a larger working area, central bar with brush for cable routing and spacious drawer with pencil groove. The work surface is black linoleum. Available on skids or on legs. The body has a semi-matt finish, as standard the feet are lacquered black in a special scratch and abrasion proof matt paint. The 2 drawers are available as an option, as is 2 tone colour, contact us for a specific quote.